Trying to be by the water or on the beach this 4th of July? 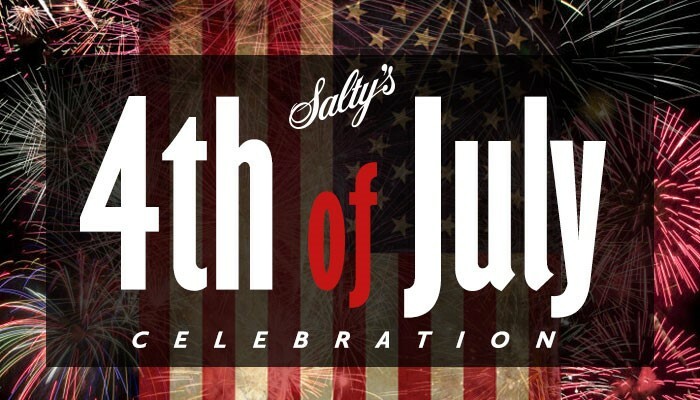 Then get down to Salty’s at Redondo Beach to celebrate our national holiday! Stroll on the boardwalk, explore the piers, discover the MaST and watch the fisherman pull in their catch. Enjoy live music with Kurt Lindsay (12pm-3pm) while dining on our special Winner Winner, Chicken Dinner. This classic All-American style meal is only available in the restaurant and Fish Bar while supplies last.